Down in Louisiana there’s a good deal of mud that you may come across while riding off-road. 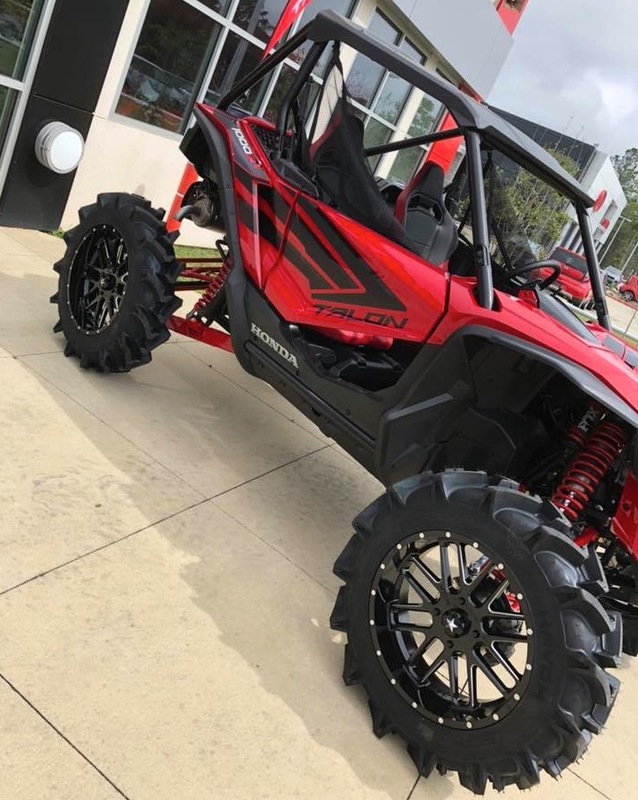 4×4 quads with big mud tires are quite popular in the bayous and the same is true with UTVs as well. 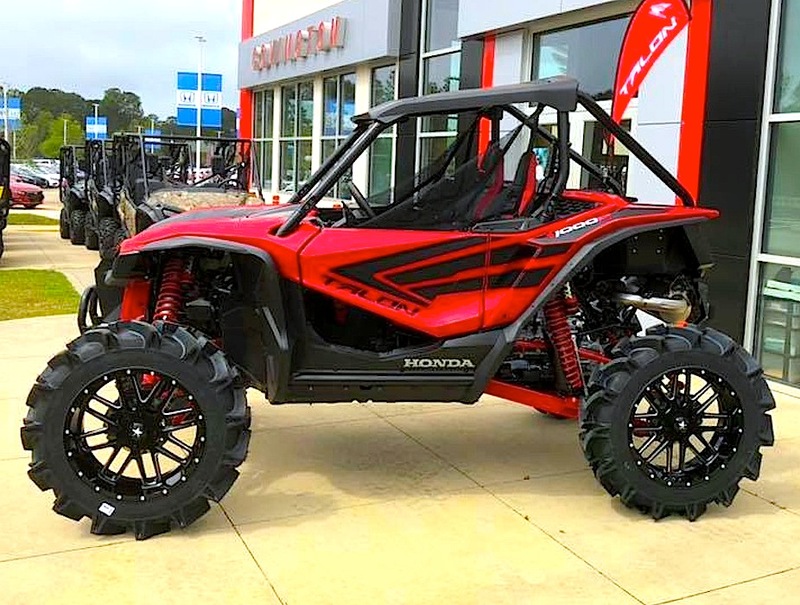 Honda of Covington is located across Lake Ponchatrain from New Orleans and they’ve had plenty of experience setting up ATVs and UTVs for trail riding in marshlands. 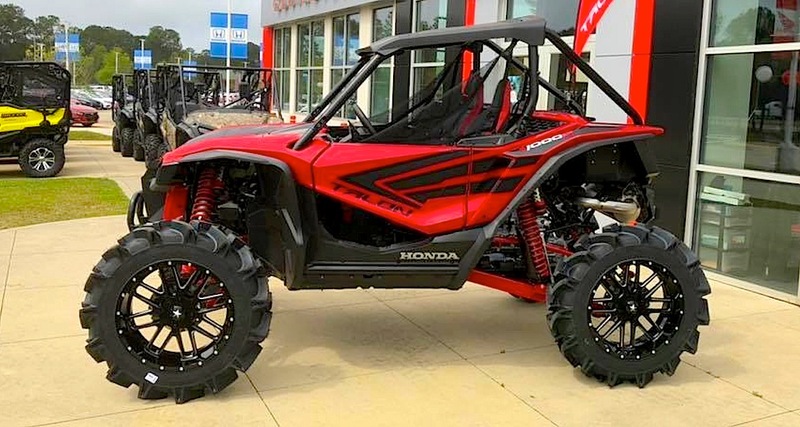 The new Honda Talon wasn’t at their shop for long before it began getting accessorized for the mud. 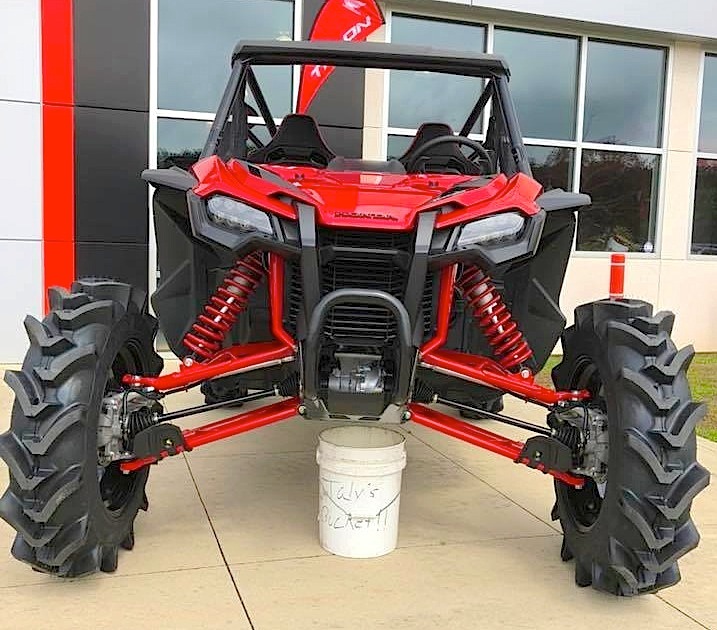 This 1000R here has a new set of 35 inch tires mounted on 20 inch wheels. There were no modifications made to suspension. They just bolted on the big wheels with the new tires and off they went. On their website you can see a video of it in action. 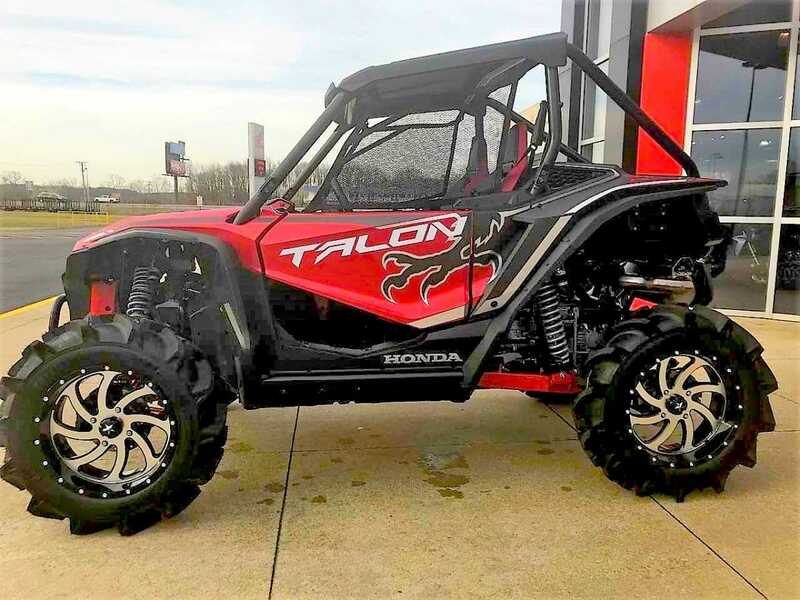 Honda of Covington also tricked out a Talon 1000X for the mud, but this one wasn’t quite as radical. 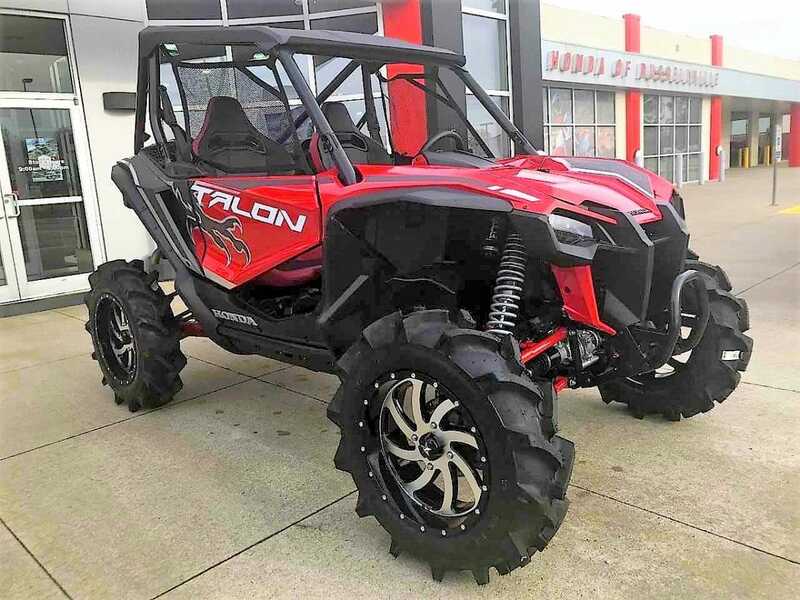 They went with 33 inch tires mounted on 18 inch wheels.